A quick look at God’s Word shows that He is definitely into partying. His directives for Israel in the Old Testament included numerous celebrations, and each was designed to remind the people of God’s goodness to them in one way or another. There is, however, no such directive for Christians. Colossians 2:13–17, for example, shows that God has not designated any special days for us. That is because we are to celebrate who we are in Christ every day. The Word of God provides us with the standard to determine whether or not contemporary “holy days” originated by people through the centuries are either godly or ungodly. Because there is a wealth of good information available about each of the major holidays, some of which purport to be “Christian,” we will only briefly evaluate them here. Christmas: Originated by the Roman Emperor Constantine as a political expedient in his attempt to unite warring religious factions in the Roman Empire, “Christ Mass” was a pseudo-celebration of the birth of Christ that corresponded with Saturnalia, a pagan festival celebrating the “birth of the Sun” (the Winter Solstice). Scripture, history, and astronomy together show that Jesus was actually born on September 11, 3 B.C. Does God care if Christians have a Christmas tree, give gifts, etc.? Not at all, as long as we don’t worship the tree. We can remember Jesus Christ and give thanks for his birth and his life. And, with the world at least giving lip service to the birth of our Lord we can take advantage of the opportunity to talk to people about our Savior and tell them why he was born. Easter: “Easter” comes from the name of the pagan goddess “Ashtarte,” and relates to fertility and much sexual debauchery. It also involves the curious idea of an oversized, colorful rabbit leaving a trail of apparently stolen chicken eggs. But at least it comes in the Spring, which is when Jesus got up from the dead. We can call it what we like, maybe “Resurrection Day,” and remember it appropriately. And we can proclaim that the Resurrection was God’s proof that Jesus was who he said he was, the Son of God and the only way to everlasting life. For the record, Jesus did not die on what we call “Friday” nor get up from the dead on “Sunday.” How do we know? Because Scripture said that he would be in the grave three days and three nights. A study of God’s Word debunks this myth and shows that Jesus died on “Wednesday” at 3 P.M. and arose on “Saturday” between 3 P.M. and sunset. 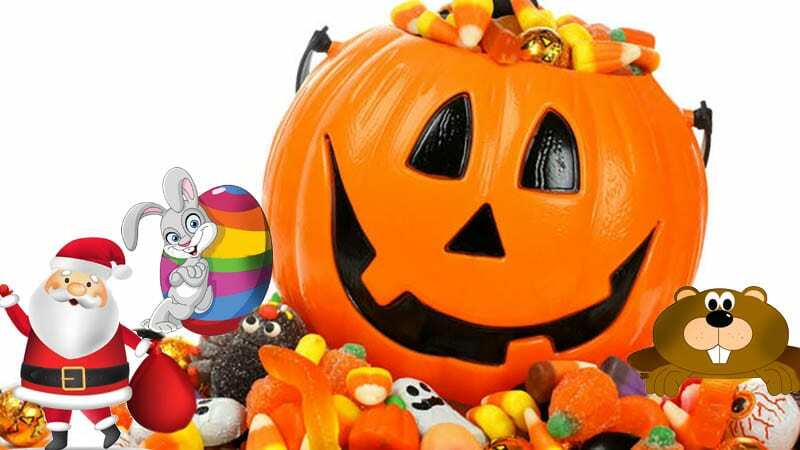 Halloween: This ridiculous “holiday” was started by Satan and later picked up by the candy industry. It comes from the ancient pagan festival of Samhain that was practiced by the Celts and is celebrated by today’s neo-pagans. The Celts believed that from sundown on the last day of the year to sunrise on the first day of the Celtic new year the veil between the land of the living and the land of the dead was at its thinnest, and thus the dead could enter the realm of the living. People wore masks and costumes to ward off the dead or keep them from recognizing the living. Hel-l-o-o-o? Dead people are DEAD (see Question 26). The Roman Catholic Church adapted this holiday as “All Saints Day,” which honors dead people whose souls are supposedly still alive. This age-old lie has opened the door for much of the devilish activity associated with this absurd celebration. Now people spend good money for plastic skulls and fake gravestones with which to “decorate” their lawns. People gleefully go out of their way to subject themselves to extra fright, as if there isn’t already enough to be afraid of. Christians could either ignore Halloween, use the occasion to hand out Scripture verses, or find some other way to share their faith amidst all the witchcraft, Satanism, and death that are promoted in conjunction with this day.